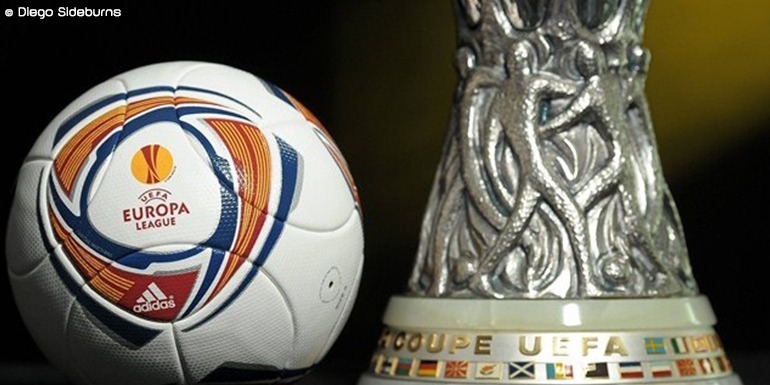 England’s Europa League duo, Liverpool FC and Tottenham Hotspur, face contrasting challenges this week. The former welcome Swiss minnows Sion while the latter head for Monaco, a much tougher proposition. We are delighted to offer Europa League hospitality packages for Liverpool FC’s games at Anfield and Tottenham Hotspur matches at White Hart Lane. The Reds have been desperately in need of results of late and will be buoyed by the weekend’s 3-2 Premier League victory over Aston Villa. Hammering Sion would provide just a bit more breathing space for under pressure manager Brendan Rogers. Mind you, Sion were the first away side to score three at Anfield in a UEFA game. That came in the 1996/97 UEFA Cup Winners’ Cup second round, with Liverpool winning 2-1 in Switzerland and 6-3 at home. It puts Sion in exalted company along with Barcelona (1-3, 2001), Chelsea (1-3, 2009), Udinese (2-3, 2012) and Real Madrid (0-3, 2014) who have all achieved the feat since. An upset is not expected though. Sion is the capital of the canton of Valais which as of last December had a population of 33,296, all of whom would have fitted into Anfield with plenty to spare – the stadium has a seating capacity of 45,276. Liverpool were a transformed side against Villa, the difference being the return from injury of Daniel Sturridge. He scored twice and looked sharp. Liverpool have been lacking confidence; the Villa victory should put them back on the right road. In theory they have the capability to be a great side, with quality midfielders and a host of strikers. But defensive worries persist as Rudy Gestede twice shocked the Anfield crowd. But guests enjoying the superb Liverpool FC Europa League hospitality packages will be confident their side can grab all three points. Tottenham Hotspur meanwhile head for Monaco in better form yet more turmoil behind the scenes, having parted company with technical director Franco Baldini – in charge of the club’s scouting and transfer policy. And just as some of those signings look to be coming good. You have to be more than a half decent side when you batter Manchester City 4-1 to send the White Hart Lane crowd wild. Harry Kane ended his 13-hour wait for a Tottenham goal as Spurs sealed a third successive Premier League win. Toby Alderweireld, the much criticised Erik Lamela and Heung-Min Son were excellent. And Tottenham now have playmaker Christian Eriksen back – he is very important to the side. Monaco registered just seven goals in their ten-game voyage to the UEFA Champions League quarter-finals last term. They lost Anthony Martial, the world’s most expensive teenage footballer, to Manchester United in the transfer window for £36 million. But they have some very useful players in Joao Moutinho, Fabio Coentrao and ex Chelsea stopper Ricardo Carvalho. Spurs lost their two most recent European away matches without scoring. So it shapes up to be an intriguing clash especially as the two clubs have some notable former players in common – Glenn Hoddle, Dimitar Berbatov, Jürgen Klinsmann and Emmanuel Adebayor. The Stade Louis II will be humming. We are delighted to offer official Tottenham Hotspur Europa League hospitality packages for the game against Anderlecht on Thursday 5th November. Don’t miss out on the action with our fantastic Europa League hospitality packages at Liverpool FC and Tottenham Hotspur.